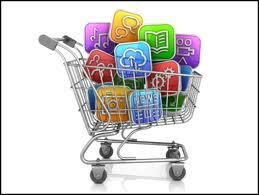 Shopping for some apps to support the needs of individuals with LD who are middle – high school aged or older? Here an updated, downloadable list of preferred apps for reading, writing, organization, reference material, math, concept mapping, graphing app and file management apps for students or adults! Not a huge list just a manageable list of favorite, go to apps. These are many of my favorites, what are yours? Carol from OT’s with Apps! This entry was posted in Adults with LD, Android, App Reviews, Apps for OT's, iPad, iPhone, iPod, Language Arts, Learning Disability, Math, Note Taking App, OCR, Organization, Post secondary, Reading, Scanning, Special education, Text to Speech, Writing and tagged Android, App Review, iPad, iPhone, Learning Disability, math, Organization, OT Apps, Reading, Writing. Bookmark the permalink.